Asian rhinoplasty differs from Caucasian rhinoplasty and other forms of nose surgery in several respects. This is because Asian noses are typically characterized by several anatomical features that differ from other noses. Many Asian rhinoplasty patients complain of flat nasal bridges that lack definition, as well as wide nostrils. Some patients also complain that the tip of their nose is not defined enough. The goal of Asian rhinoplasty should be to achieve beauty and harmony with the other facial features, not to change the patient’s cultural identity. The end result should be a natural-looking nose that balances the face. What Does Asian Rhinoplasty Aim to Correct? Ultimately, the goal of any cosmetic surgery is to achieve harmony, symmetry and beauty. Asian rhinoplasty is no exception. Here are some of the goals rhinoplasty surgeons commonly seek to achieve with Asian rhinoplasty. Add Prominence to Nasal Bridge. Asian noses often lack definition. The challenge in adding definition is to do so while preserving the gap between the forehead and the bridge; otherwise, the result is an overly “Westernized” look. Add Definition to Nasal Tip. Asians often have weak tip cartilage, so special techniques must be employed to strengthen the tip and achieve more projection. Achieving this often requires altering the tip cartilage and inserting cartilage grafts harvested from the septum or ear. Reduce Width of the Nostrils. Asians — particularly those of South Asian heritage — often have wide a wide alar base (nostrils). To correct this, the length of the nostril sidewalls is often reduced and alterations are made to the cartilage. Lengthen the nose. Asians often have short, flat noses that require nasal lengthening. Asian nose surgery techniques often involve augmentation rather than reduction. This distinguishes these procedures from the nose surgeries typically performed on other ethnicities, such as Caucasians. Several techniques may be used in Asian rhinoplasty. In many cases, these techniques involve implants and/or grafts. While the use of silicone and other artificial implants is commonplace in Asia, many facial plastic surgeons in the U.S. disagree with this practice, preferring natural cartilage grafts taken from the septum, ear or rib instead. Harvesting and Shaping Grafts. Many Asian noses need lengthening, which often requires the use of grafts. Most American surgeons prefer to use cartilage harvested from the septum or ear. In some cases a synthetic material called Medpor may be used. Alar Base Reduction. This technique is rarely the only one used in Asian rhinoplasty, and is usually the final step of the surgery. Alar base reduction is a tricky technique involving special incisions. If performed incorrectly, any number of unwanted aesthetic effects may result, including asymmetry, a teardrop-shaped deformity, a narrow nostril opening and other effects. The surgeon must take several factors into consideration to avoid these effects, including nose shape, alar flare and the alar base width. Nasal Tip Refinement. The lower lateral cartilages have a significant impact on the appearance of the nasal tip. Nasal tip techniques focus on refining this cartilage in order to reshape the tip. Depending on the specific needs of the patient, a variety of techniques may be used, such as removing cartilage, elevating the tip and upturning the tip. Usually, nasal tip refinement involves a combination of these techniques, as well as suturing techniques and sometimes cartilage grafts. How does Asian rhinoplasty differ from other types of rhinoplasty? In most respects, Asian rhinoplasty is similar to nose surgery performed on non-Asian patients. However, unlike certain other forms of rhinoplasty, Asian rhinoplasty often involves augmenting certain features and lengthening the nose. To achieve this, different techniques are often required. Is Asian rhinoplasty worth it? The answer to this depends, of course, on what your goals are and whether you are a good candidate. It is very important that you have realistic expectations. Only a board certified facial plastic surgeon can tell you for sure if you are a good candidate. What is the best type of implant for Asian rhinoplasty? It depends on whether the surgeon will be working on the bridge, dorsum, tip or other features of the nose. Ear cartilage is good for some purposes, septal for others. In Asia, silicone implants are often used. In contrast, many U.S. based facial plastic surgeons prefer to use cartilage harvested from the patient’s nose or ear. However, a synthetic material called Medpor is popular among some American surgeons. How much does Asian rhinoplasty cost? The price varies markedly, depending on where you are having it, how extensive the procedure is, how many areas of the nose are being operated on, whether grafts are involved and other factors. As with any procedure, Asian rhinoplasty costs more on the coasts and in big metropolitan areas. Who is a candidate for Asian rhinoplasty? Good candidates for Asian rhinoplasty are in generally good health and have reasonable expectations. A good candidate understands the potential risks involved as well as the responsibilities (e.g., avoiding direct sunlight and limiting physical activity for a period of weeks). It is also crucial that you wait until you have finished developing physically. 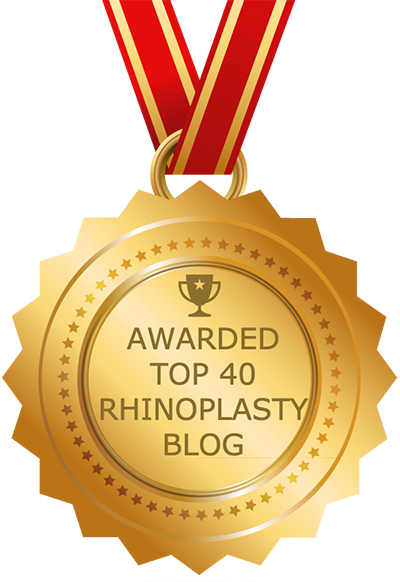 Asian rhinoplasty should not be performed before the nose has reached its adult size. Males are typically not good candidates until about age 17. Females are usually eligible at around 15 or 16.
Who is qualified to perform Asian rhinoplasty? While many types of specialists now offer Asian rhinoplasty, it is important that you choose a board certified facial plastic surgeon with significant experience performing Asian rhinoplasty as well as other types of nose surgery. Facial plastic surgeons have extensive training in procedures of the nose, as well as in-depth knowledge of nasal anatomy.